Dr. Trish Wonch Hill is Interim Director of the Methodology and Evaluation Research Core Facility (MERC) at the Social and Behavioral Sciences Research Center (SBSRC) at the the University of Nebraska-Lincoln, and a Research Assistant Professor of Sociology. In her role as Interim Director of MERC, Dr. Hill helps to develop grant proposals and oversee oversees multiple program evaluations across multiple federal, state, and local grants. Dr. Hill conducts research primarily on broadening participation in STEM in K-16 and beyond. Currently, she is co-investigator on Worlds of Connections and oversees research and coordinates closely with the evaluation team to assess program outcomes and answer key research questions. Dr. Hill serves as the main liaison with public school districts to conduct research on merged institutional and project data to assess how science experiences in middle school influence science pathways (course taking, extra curricular activities, and career aspirations) through High School. Dr. Hill is also co-investigator on the NSF Broadening Participation in Engineering Grant - Statewide Effort to Diversify Undergraduate Engineering Student Population. The research for this grant examines how redefining admissions processes, and providing wraparound student support serves to provide more equal access for admission, engagement and success for students from historically underrepresented groups (First generation, English Language Learners). Dr. Hill is currently lead social science research on NSF INCLUDES grant WATCH:US (Women Achieving Though Community Hubs in the US), which focuses increasing the number of women with advanced degrees in the mathematical sciences. Through her prior work the NIH SEPA World of Viruses/Biology of Human, Dr. Hill has published in peer reviewed journals on how science identity, friendship networks, science gender bias, and urban/rural location are associated with science career interests among middle school age youth from diverse backgrounds. As a UNL alumnus, first-generation college graduate, and western Nebraskan native, Trish is passionate about increasing access to informal science and positive youth development programming for rural youth who belong to groups historically underrepresented in STEM. In the future, she hopes to write grants that focus on empowering youth to conduct social science in their Nebraska communities on issues that matter to them through Community Based Participatory Research. The Methodology and Evaluation Research Core Facility often has funding for undergraduate or graduate student researchers interested in program evaluation and applied sociology. We often hire summer graduate student interns to conduct applied research on a variety of projects in public health, science education, food systems, and assessing broader impacts of federally funded grants. Hebets, E.A., Welch-Lazoritz, M., Tisdale, P., & Hill, P.W. (2018) Eight-Legged Encounters—Arachnids, Volunteers, and Art help to Bridge the Gap between Informal and Formal Science Learning. Insects, 9(1), 27. Hill, P. W., McQuillan, J., Spiegel, A. N., and Diamond, J. (2018). Discovery orientation, cognitive schemas, and disparities in science identity in early adolescence. Sociological Perspectives, 61(1), 99-125. Hill, P. W., McQuillan, J., Talbert, E. J., Spiegel, A. N., Gauthier, G. R., & Diamond, J. (2017). Science Possible Selves and Desire to be a Scientist: Mindsets, Gender Bias, and Confidence during Early Adolescence, 6(2), 55. Gauthier, G. R., Hill, P. W., McQuillan, J., Spiegel, A. N., & Diamond, J. (2017). The potential scientist’s dilemma: How the masculine framing of science shapes friendships and science job aspirations. Social Sciences, 6(1), 14. 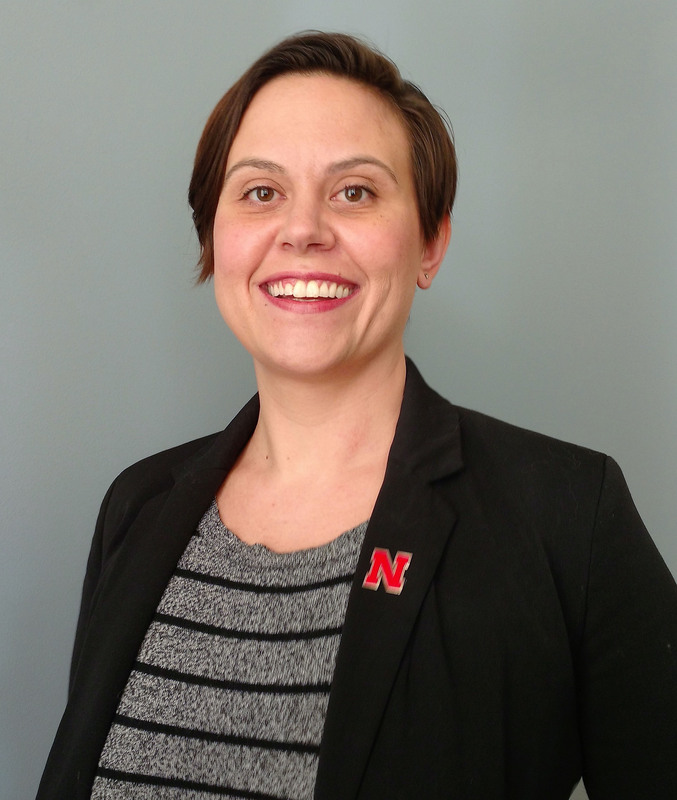 Dr. Hill currently serves on the Faculty Senate at representing non-tenured research faculty for the Centers-at-large district and she serves on the First Generation Advisory committee both at UNL. In her free time she is President of Nebraska State Conference of the American Association of University Professors (AAUP). Also in her free time, she is an active member of Nebraskans Against Gun Violence where she is an advocate and activist for gun control at the local, state, and national level. Dr. Hill has volunteered and served for eight years with the MISS Foundation, an organization supporting parents and grandparents who have experienced child loss, as a policy advocate/analyst and as administrator to the online grief support forums serving those who have experienced the loss of a child.